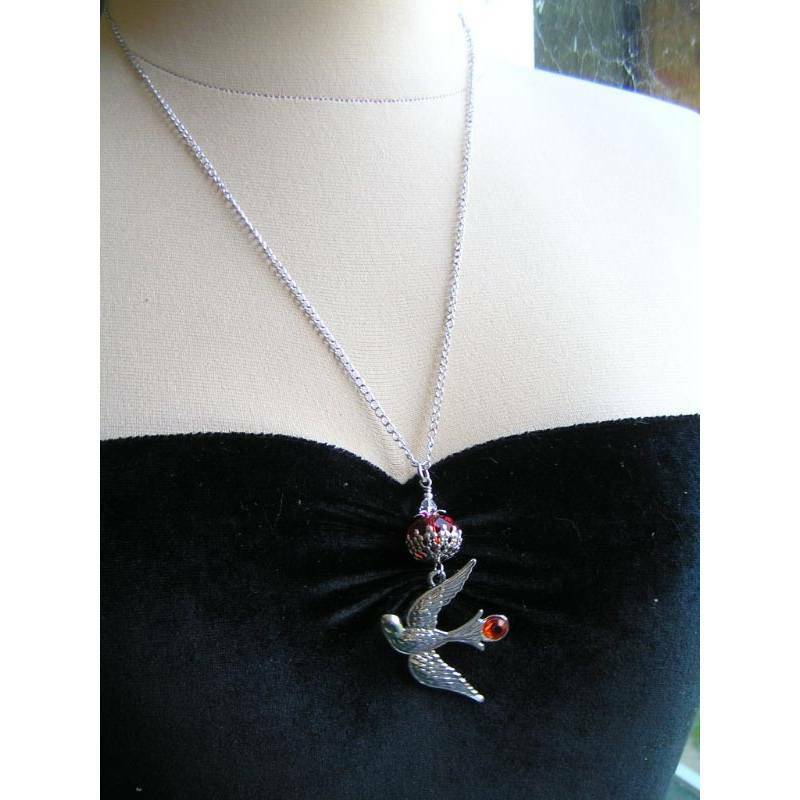 Lovely hand cast bird pendant with glowing red crystals. 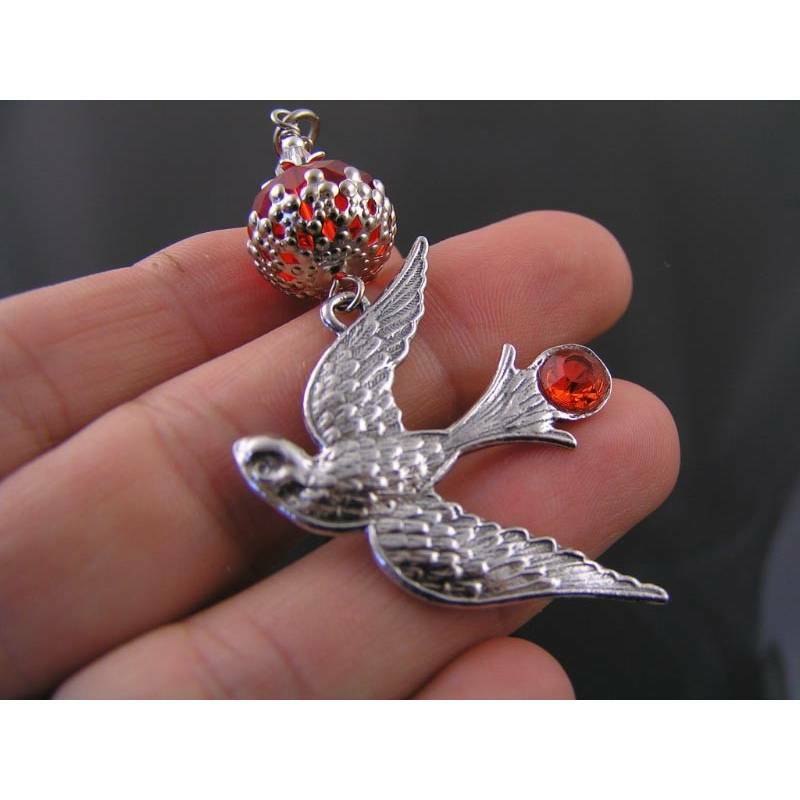 This detailed and large bird pendant is set with a glowing red crystal. Moving freely, the bird connects to a link showcasing another, glorious red crystal. The crystal is framed by an ornate bead cap and a smaller star before being topped by a small, clear crystal. 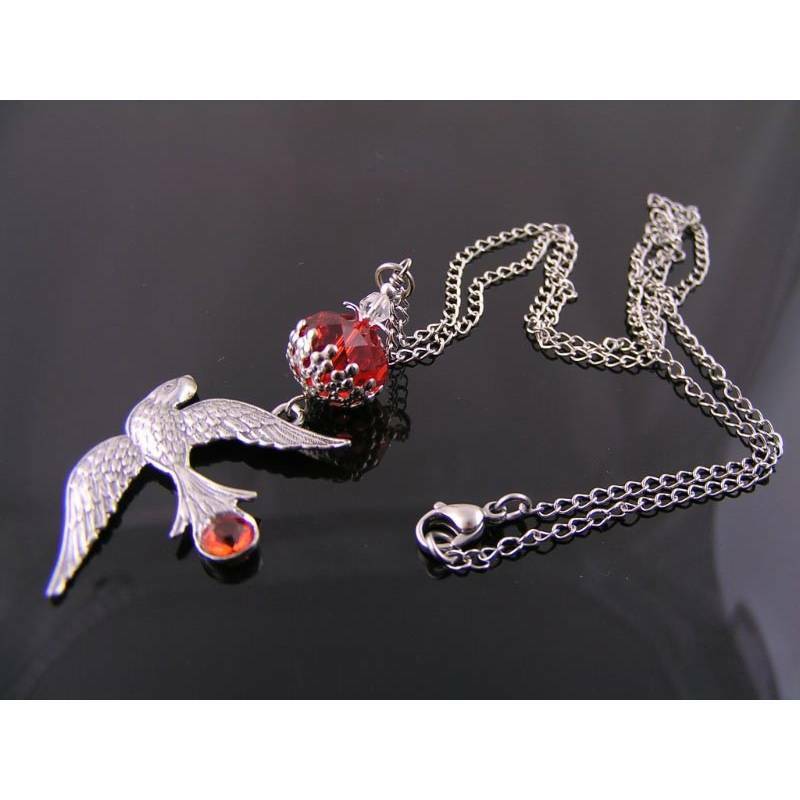 The whole pendant is attached to a solid stainless steel (durable) curb link chain which measures 60cm in length and closes with a lobster claw clasp. 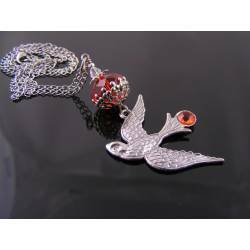 The bird pendant is hand cast here in Australia from high quality (food grade) pewter, total length of the whole pendant is 7.5cm.